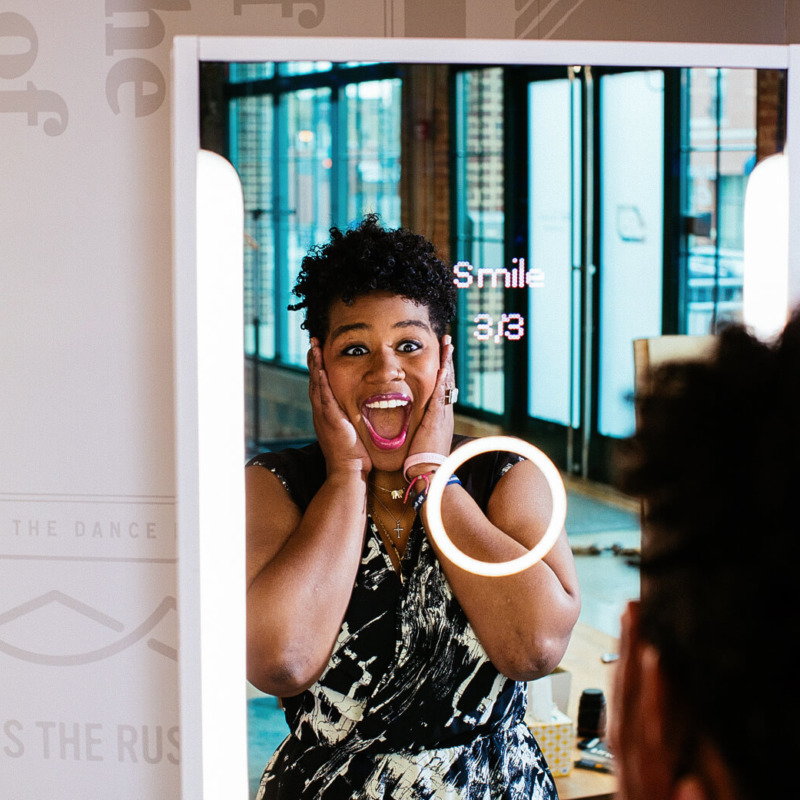 The SELFIE Mirror is a photo booth disguised as a standing mirror. 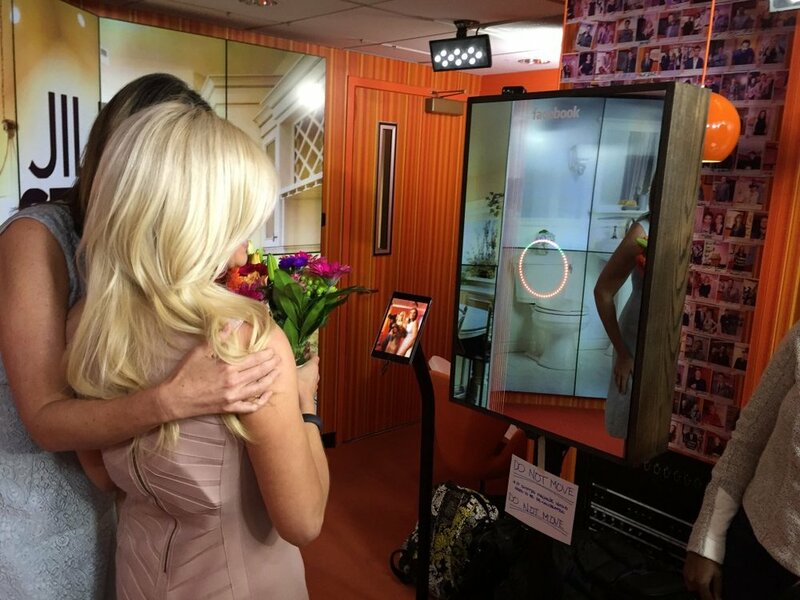 Inside the SELFIE is a DSLR camera that captures high-resolution photos of the user when triggered. 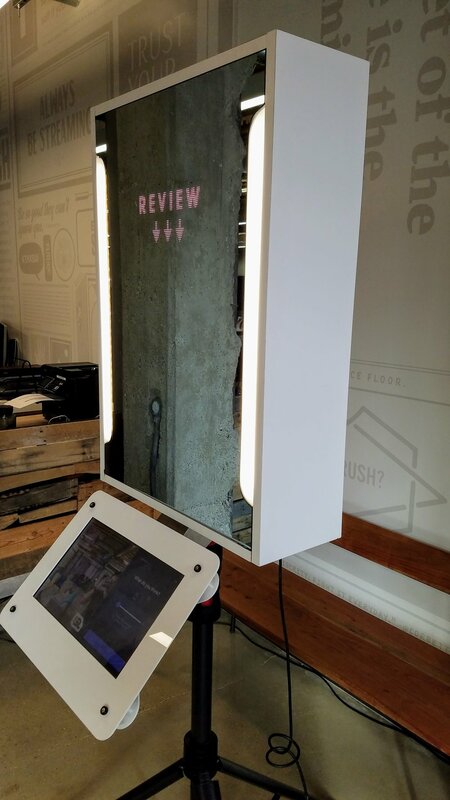 A mounted touch screen allows the user to capture and edit photos while an internal LED screen hidden behind the mirror provides visual cues during the experience. 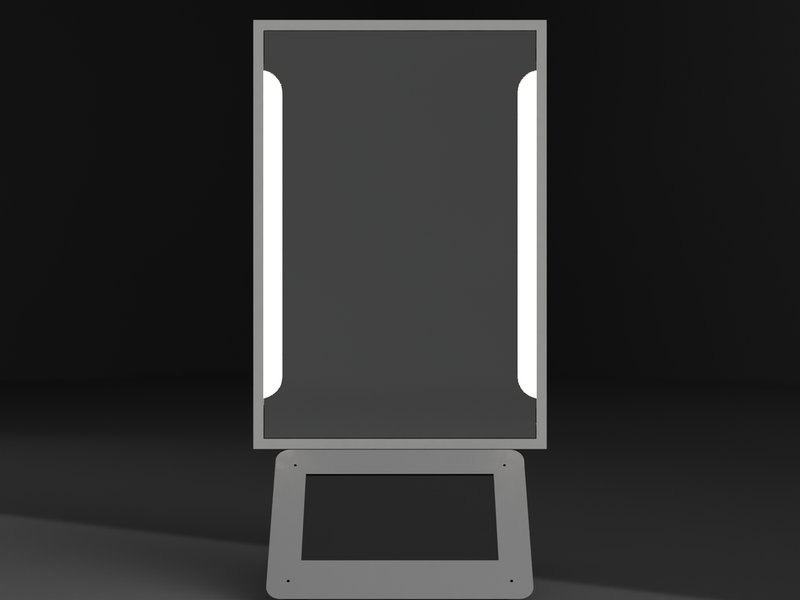 After the photo is taken, the user can easily upload the final result to social media. 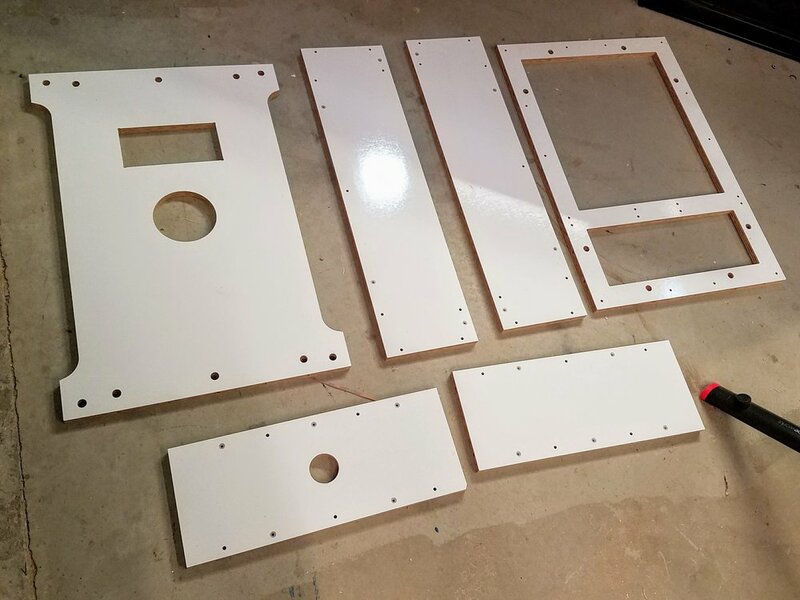 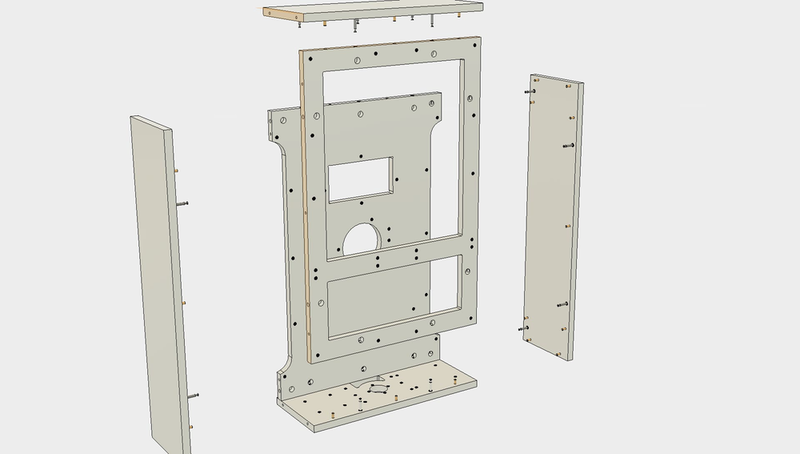 Development of design-for-manufature version of SELFIE, including all plywood, metal, plastic and electronic components.